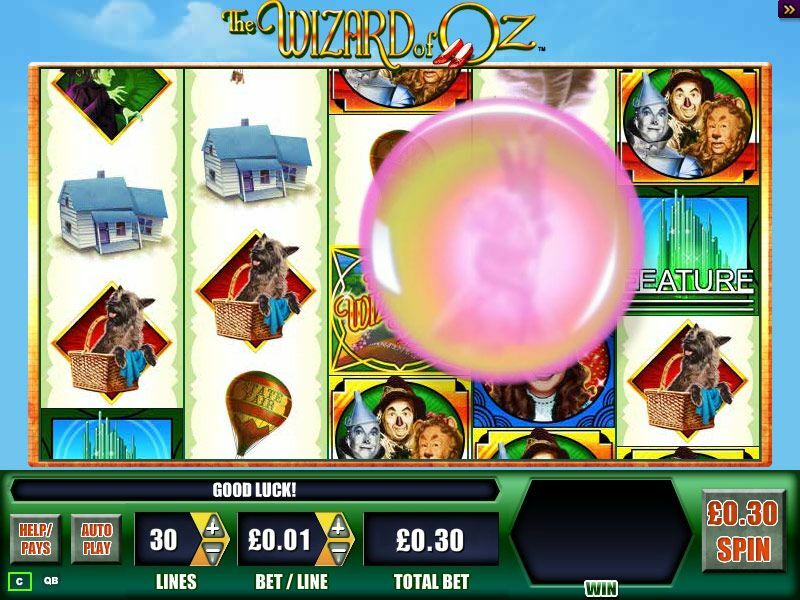 For the first time ever you can play this world famous slot game online, at Slots Magic Casino. Join all your favourite characters as you seek out THE ROAD TO THE EMERALD CITY™ FEATURE. Spin 3 EMERALD CITY icons in reels 1, 3 and 5 to trigger the OZ PICK FEATURE. You can pick a cash award, THE EMERALD CITY FEATURE or even a spooky WINGED MONKEY™ WILD feature. 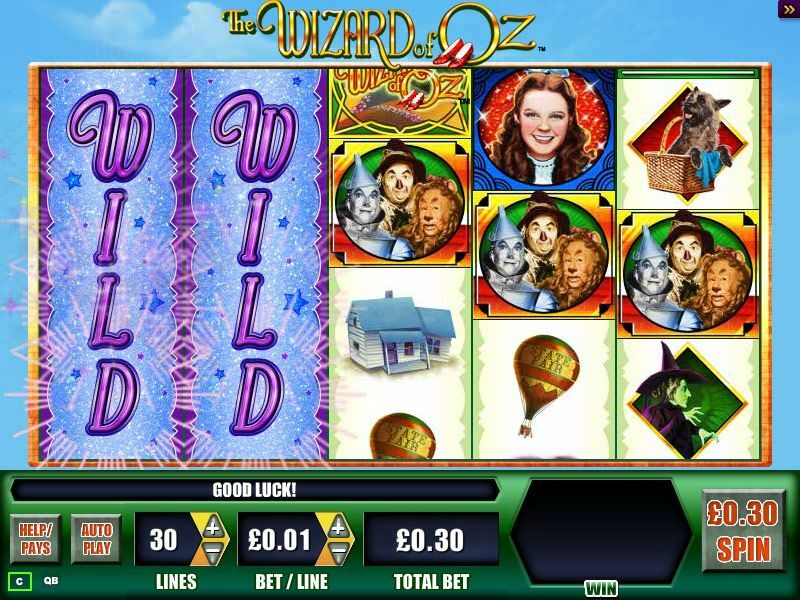 Once you enter THE ROAD TO THE EMERALD CITY FEATURE you’ll be able to pick for even more chances to win, and maybe even get to visit THE WIZARD OF OZ yourself! During the base game you might see the magical GLINDA THE GOOD WITCH™ appear at any time. She’ll turn reels WILD to give you more chances to win. 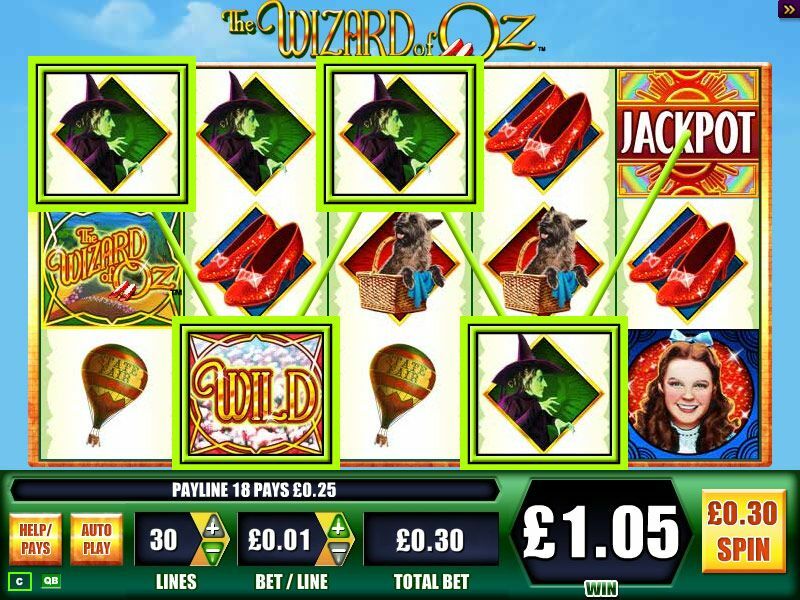 THE WIZARD OF OZ icon is WILD for all symbols except THE EMERALD CITY and JACKPOT icons. The Wizard of Oz™ THE WIZARD OF OZ and all related characters and elements are trademarks of and ? Turner Entertainment Co. Judy Garland as Dorothy from THE WIZARD OF OZ.